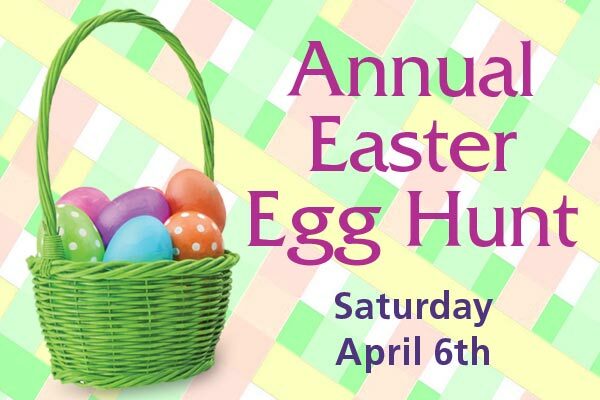 Join Andrew Chapel UMC for the FREE annual Easter Egg Hunt for children of all ages on Saturday, April 6, 2019 from 10 am to 12:00 pm. Kids can bring a basket if they like, or bags will be provided. Invite your friends, or make new ones at this fun event! Parents, don’t forget your camera for photo opportunities! There will be crafts for the children to make, Egg Hunt and a petting zoo with Bunnies, Ducks, Chickens, Guinea Pigs and a piggy!